Match ends, Houston Dash 3, Western New York Flash 3. Second Half ends, Houston Dash 3, Western New York Flash 3. Attempt missed. Amber Brooks (Houston Dash) header from the centre of the box misses to the right. Assisted by Tessa Florio-Gavilsky with a cross. Corner, Houston Dash. Conceded by Katelyn Rowland. Attempt saved. Kealia Ohai (Houston Dash) left footed shot from the left side of the box is saved in the bottom left corner. Assisted by Rachel Daly. Abby Dahlkemper (Western New York Flash) is shown the yellow card for a bad foul. Attempt blocked. Janice Cayman (Western New York Flash) right footed shot from the centre of the box is blocked. Goal! Houston Dash 3, Western New York Flash 3. Lynn Williams (Western New York Flash) left footed shot from very close range to the bottom left corner. Assisted by Jessica McDonald with a headed pass. Jaelene Hinkle (Western New York Flash) is shown the yellow card. McCall Zerboni (Western New York Flash) wins a free kick in the defensive half. Foul by Tessa Florio-Gavilsky (Houston Dash). Kristen Hamilton (Western New York Flash) wins a free kick in the defensive half. Corner, Western New York Flash. Conceded by Tessa Florio-Gavilsky. Substitution, Houston Dash. Megan Crosson replaces Stephanie Ochs. Substitution, Houston Dash. Caity Heap replaces Denise O'Sullivan. Attempt missed. Michaela Hahn (Western New York Flash) right footed shot from outside the box is close, but misses to the right. Assisted by McCall Zerboni. Substitution, Western New York Flash. 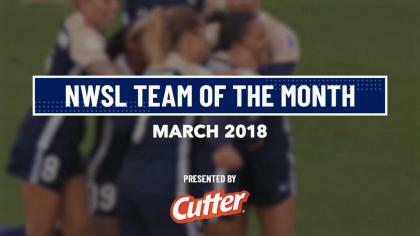 Kristen Hamilton replaces Lianne Sanderson. Attempt missed. Rachel Daly (Houston Dash) right footed shot from a difficult angle and long range on the right misses to the right. Assisted by Denise O'Sullivan. Janice Cayman (Western New York Flash) wins a free kick on the right wing. Attempt missed. 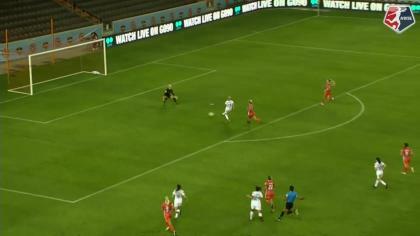 Stephanie Ochs (Houston Dash) left footed shot from outside the box is just a bit too high. Assisted by Tessa Florio-Gavilsky. Substitution, Houston Dash. Tessa Florio-Gavilsky replaces Melissa Henderson. Delay in match (Western New York Flash). Attempt saved. Rebecca Moros (Houston Dash) right footed shot from outside the box is saved in the bottom right corner. Substitution, Western New York Flash. Janice Cayman replaces Makenzy Doniak. Substitution, Western New York Flash. Michaela Hahn replaces Elizabeth Eddy. Goal! Houston Dash 3, Western New York Flash 2. Jessica McDonald (Western New York Flash) right footed shot from the centre of the box to the top right corner. Assisted by Lynn Williams. Attempt blocked. Lynn Williams (Western New York Flash) right footed shot from outside the box is blocked. Assisted by Jessica McDonald. Attempt missed. Jessica McDonald (Western New York Flash) header from the centre of the box misses to the right. Assisted by Taylor Smith with a cross. Corner, Western New York Flash. Conceded by Stephanie Ochs. McCall Zerboni (Western New York Flash) wins a free kick in the attacking half. Goal! Houston Dash 3, Western New York Flash 1. Kealia Ohai (Houston Dash) right footed shot from the left side of the box to the bottom right corner. Assisted by Stephanie Ochs with a cross. Attempt saved. Jaelene Hinkle (Western New York Flash) left footed shot from outside the box is saved in the bottom left corner. Assisted by McCall Zerboni. Attempt saved. Lynn Williams (Western New York Flash) right footed shot from the centre of the box is saved in the centre of the goal. Assisted by Makenzy Doniak. Offside, Houston Dash. Stephanie Ochs tries a through ball, but Rachel Daly is caught offside. Offside, Houston Dash. Melissa Henderson tries a through ball, but Rachel Daly is caught offside. Attempt missed. Melissa Henderson (Houston Dash) right footed shot from outside the box misses to the right. Assisted by Rebecca Moros. Hand ball by Elizabeth Eddy (Western New York Flash). Attempt missed. Lynn Williams (Western New York Flash) right footed shot from outside the box is close, but misses the top right corner. Assisted by Taylor Smith. Attempt saved. Makenzy Doniak (Western New York Flash) right footed shot from the left side of the box is saved in the bottom left corner. Assisted by Jessica McDonald. Attempt missed. Abby Dahlkemper (Western New York Flash) header from a difficult angle on the left misses to the left. Assisted by Jessica McDonald. Elizabeth Eddy (Western New York Flash) wins a free kick in the defensive half. Goal! Houston Dash 2, Western New York Flash 1. Kealia Ohai (Houston Dash) left footed shot from the centre of the box to the centre of the goal. Assisted by Rebecca Moros following a fast break. Corner, Western New York Flash. Conceded by Cari Roccaro. Attempt blocked. Taylor Smith (Western New York Flash) right footed shot from the centre of the box is blocked. Assisted by Jessica McDonald. Second Half begins Houston Dash 1, Western New York Flash 1. First Half ends, Houston Dash 1, Western New York Flash 1. Attempt blocked. Stephanie Ochs (Houston Dash) left footed shot from the centre of the box is blocked. Assisted by Kealia Ohai with a cross. Offside, Houston Dash. Stephanie Ochs tries a through ball, but Kealia Ohai is caught offside. Attempt missed. Rachel Daly (Houston Dash) left footed shot from the left side of the box misses to the right. Attempt blocked. Taylor Smith (Western New York Flash) left footed shot from the right side of the box is blocked. Assisted by Lynn Williams. Attempt missed. Lynn Williams (Western New York Flash) header from the centre of the box misses to the right. Attempt missed. Denise O'Sullivan (Houston Dash) right footed shot from the centre of the box is close, but misses to the left. Assisted by Stephanie Ochs with a through ball. Offside, Houston Dash. Rebecca Moros tries a through ball, but Melissa Henderson is caught offside. Goal! Houston Dash 1, Western New York Flash 1. Rachel Daly (Houston Dash) right footed shot from outside the box to the top left corner. Assisted by Denise O'Sullivan. Foul by Taylor Smith (Western New York Flash). Cambria Privett (Houston Dash) wins a free kick in the defensive half. Attempt missed. Amber Brooks (Houston Dash) right footed shot from outside the box is too high. Assisted by Kealia Ohai. Attempt missed. Kealia Ohai (Houston Dash) right footed shot from the left side of the box misses to the right. Assisted by Denise O'Sullivan. Attempt missed. Lynn Williams (Western New York Flash) right footed shot from outside the box misses to the right. Offside, Houston Dash. Denise O'Sullivan tries a through ball, but Melissa Henderson is caught offside. Foul by McCall Zerboni (Western New York Flash). Melissa Henderson (Houston Dash) wins a free kick in the attacking half. Offside, Western New York Flash. Katelyn Rowland tries a through ball, but Jessica McDonald is caught offside. Abby Dahlkemper (Western New York Flash) wins a free kick in the defensive half. Foul by Melissa Henderson (Houston Dash). Attempt blocked. Rachel Daly (Houston Dash) right footed shot from a difficult angle on the right is blocked. Goal! Houston Dash 0, Western New York Flash 1. Lianne Sanderson (Western New York Flash) right footed shot from the centre of the box to the top left corner. Assisted by Lynn Williams. Corner, Western New York Flash. Conceded by Rebecca Moros. Offside, Houston Dash. Rachel Daly tries a through ball, but Melissa Henderson is caught offside.